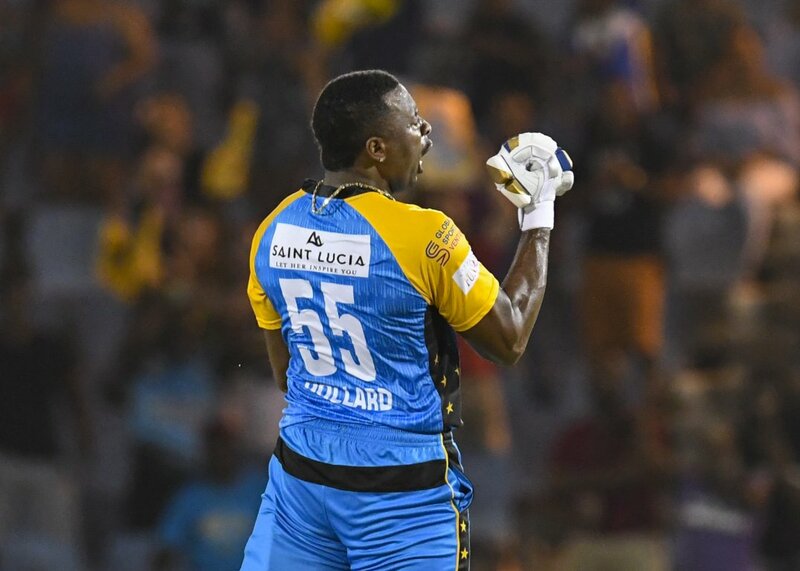 A maiden T20 hundred from skipper Kieron Pollard on Friday night propelled St Lucia Stars to a dominant 38-run victory over Barbados Tridents, their first victory in the 2018 Hero Caribbean Premier League (CPL). The game was played at the Daren Sammy National Cricket Stadium in St Lucia. It was also the first CPL victory in 15 matches for St Lucia Stars. 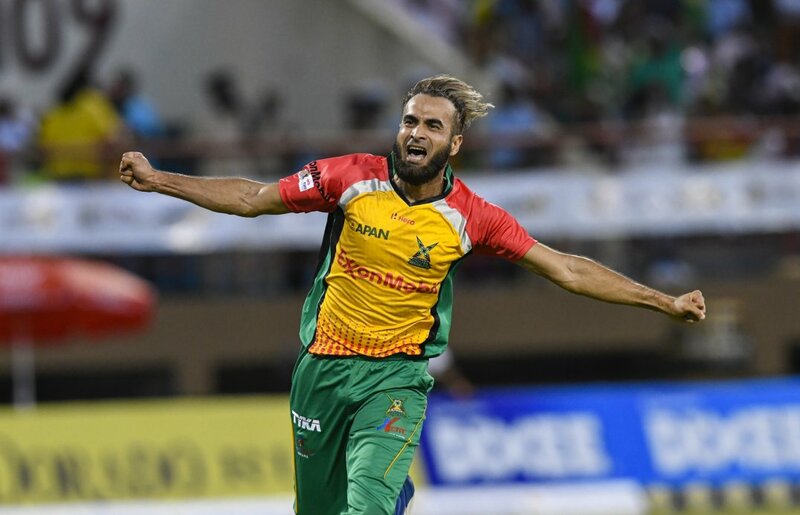 The Stars had appeared certain to end their losing streak a day earlier against defending champions Trinbago Knight Riders, but failed to defend 85 in the last five overs to slide to a demoralizing five-wicket loss. The schedule, though, presented the Stars with the chance to put things right immediately, and it was their captain who led by example, blasting his way to a six-laden 53-ball century – remarkably his first in T20s in his 384th innings – and sharing a sparkling 148-run partnership with Andre Fletcher (80 from 52) in a Hero CPL record score of 226 for six. 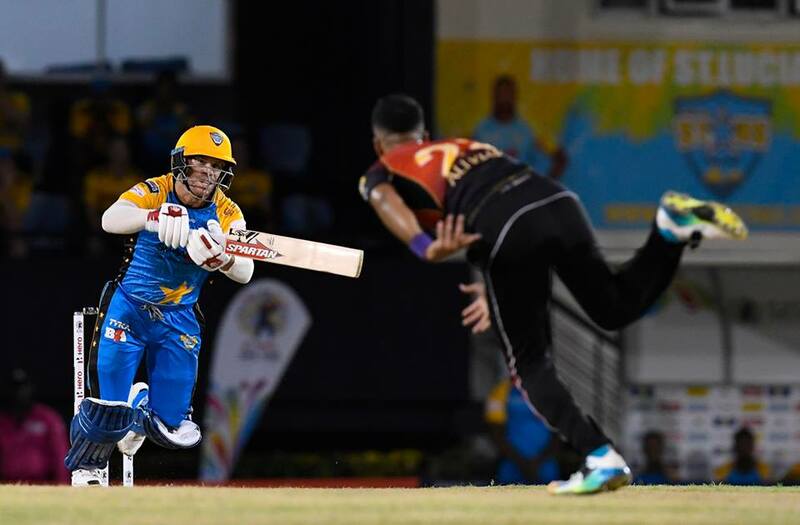 And, despite 58 off 45 balls from Tridents opener Dwayne Smith, there was to be no repeat of the previous night’s heartbreak as Barbados’ run-chase stalled in the middle overs and came up well short on 188 for six. It was too much. Nicholas Pooran smashed a couple over the ropes but was deceived by an Obed McCoy slower ball attempting a third and sliced the ball to deep extra-cover where David Warner held a good catch. Understandably perhaps, the Stars were visibly nervous as they looked to close out the game after such a long winless streak. McClenaghan’s final over cost 24 runs with Shai Hope hitting two sixes and Smith another. It would ultimately prove telling that those three sixes doubled the Tridents’ tally for the innings on a pitch that had seen more than 50 sixes in the previous three innings. Rahkeem Cornwall continued his pinch-hitting role at number three and he too took the fight straight to the Tridents attack. It was shot-a-ball stuff from the big all-rounder who hit two fours and three big sixes to reach 30 in just 10 balls before skying Wahab Riaz to mid-off. Wahab had been held back until the second half of the innings in the Tridents’ opening victory in Guyana, but Holder had little option but to turn to him early and such was the extent of the carnage as the Stars raced to 56 for one from the first four overs. It paid off, with Lendl Simmons adjudged lbw to the very next ball after Cornwall’s departure. It was clear, though, that the Stars were not in the mood to take the foot off the pedal here. The return of Irfan saw Fletcher carving a six over point and four more inside-out over extra cover as a breathless Power Play ended with 67 for three on the board. Pollard, on the back of that 18-ball 50 against the Knight Riders, was soon also clearing the boundaries against his former team as the Stars raced to three-figures before the halfway stage of the innings. Two boundaries for the Stars skipper took him into the 40s as 11 runs from Irfan’s final over saw the left-armer bringing up his own unwanted half-century. Fletcher and Pollard both reached half-centuries, in 34 and 33 balls respectively, but the Tridents were able to keep a lid on the scoring with only 41 runs coming from five overs between the 12th and 16th of the innings. The return of Reifer for over 17 got the Stars back into top gear as Fletcher swatted a high no-ball for six and then dispatched the resultant free-hit for another and then drilling the last ball of the over downtown for six more. 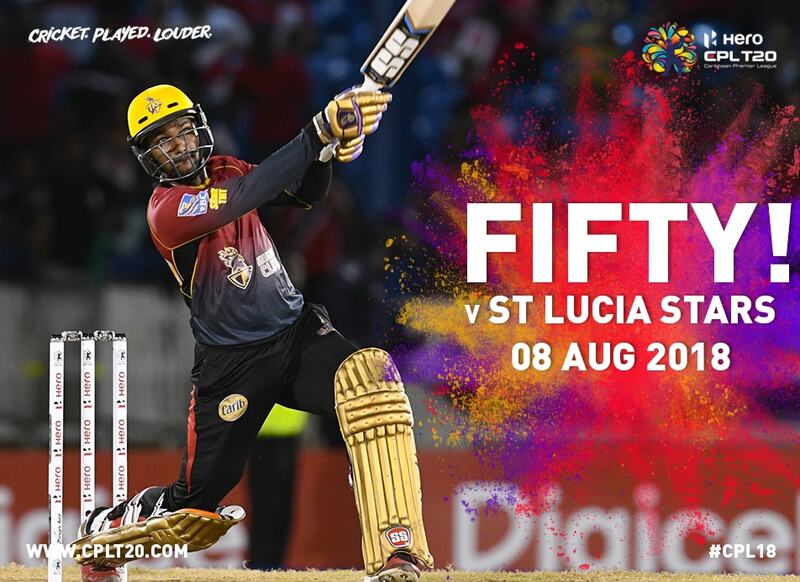 Sunday, August 19 – Jamaica Tallawahs v Trinbago Knight Riders (6pm) at Central Broward Regional Park, Lauderhill, Florida.